ISee is a team of scientists and engineers diving deep into artificial intelligence, computational cognitive science, robotics, and computer vision. With Professor Josh Tenenbaum from the MIT Computational Cognitive Science Lab serving as the startup’s Chief Scientific Advisor, the group is thrilled to join The Engine. iSee is determined to build the missing piece of the self-driving car puzzle —the next generation AI driven by a common sense engine. To begin such a monumental task, the team is developing a fundamentally different approach to achieve a fully autonomous driving system. By building and applying a groundbreaking common sense engine to this space, iSee is able to effectively model a variety of behavior of different occurrences on the road. 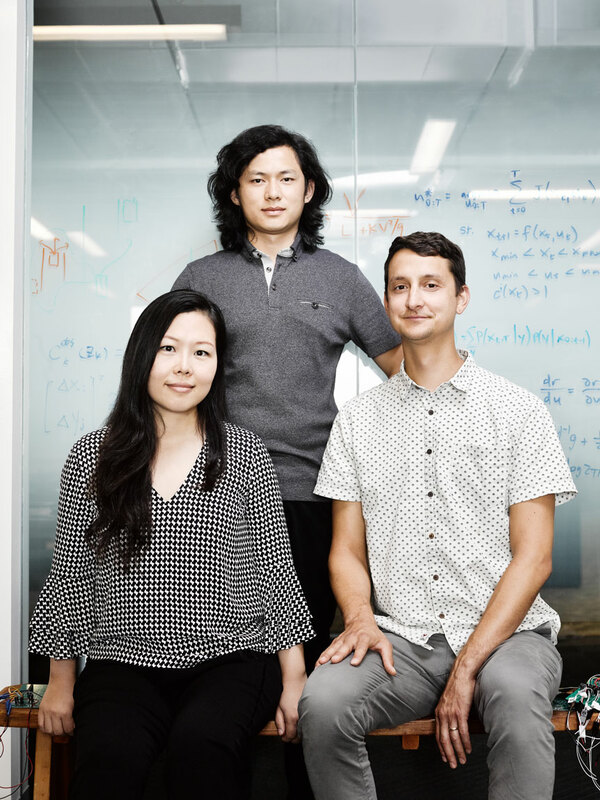 Founders Debbie Yu, Yibiao Zhao, and Chris Baker are looking forward to establishing iSee as a leader in the artificial intelligence space. Yibiao and Chris have years of experience working on cognitive robots collaborating with humans and Debbie has a long history of backing and working on a series of frontier tech startups. iSee is made up of true hackers. The founders saw the possibility and retrofitted Debbie’s hybrid SUV to let their AI system control it in two weeks. Currently the team is working on a full-stack solution for a vehicle to drive in a complex environment. In order to be safely in motion, a vehicle needs to predict the future extensively, even in unfamiliar situations, in order to avoid risk and harm. iSee has enabled the new AI thanks to deep learning, but it goes beyond this. In early demonstrations, iSee has proven their technology and methodology to be superior to a classically trained machine learning system in its ability to operate a vehicle with thousands of miles of safely test driving. Because iSee is working on a fundamentally different software approach in artificial intelligence, their technology will have an impact far beyond autonomous vehicles. iSee’s development is paving the way for truly predictive artificial intelligence.